Although recent investment in mental health is welcomed, the budget isn’t hitting the mark for prevention services, heard attendees at the annual post-budget breakfast last Thursday. 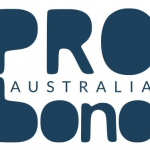 Hosted by ethical fund manager UCA Funds Management, in conjunction with event partners Pro Bono Australia, Commonwealth Bank of Australia and Deloitte Australia, the event brought together a panel of experts to address how the budget could impact not for profits. Commonwealth Bank of Australia director of global markets Bruno Bellon opened the event with an overview of the federal and Victorian state budgets. With both the state and federal government entering an election cycle, the budgets vary in tone and have far reaching implications for the Australian social services sector. For those in the not-for-profit sector, the state budget will impact those in health, community and education. This includes $288 million to support disability students, $225 million to hire 450 more child protection workers, and a $705 million boost for mental health. While the federal budget benefits these sectors as well, it also includes funding for aged care and welfare. Mental Health Victoria’s chief executive officer Angus Clelland commented that the budget was a good start for mental health funding but prevention needed prioritising. “The 2018-19 Victorian and Commonwealth budgets include more than $1 billion of investment in mental health. Both governments should be commended for this commitment,” Clelland said. “In the years to come we hope that 2018-19 will be viewed as the turning point for mental health, which for decades has been the poor cousin of the health system. “However, this new investment needs to be viewed in the context of a system that has been chronically underfunded for 20 years. Victoria has the dubious distinction of having the lowest per capita expenditure on mental health in the country, with service access at 39 per cent below the national average – which itself is too low. Uniting AgeWell board chair Raelene Thompson noted that the mental health package was a welcome announcement for the aged care sector as well. “A mental health funding package addresses what many have described as a glaring inequity in the provision of mental health services to older members of our community who live in residential care,” Thompson said. “Another highlight for the aged care sector is additional homecare packages and places for residential services. There is also a continued focus on quality, safety, regulation and compliance, with redirected funding enabling the establishment of a new Aged Care Safety and Quality Commission. With the discussion moving to the National Disability Insurance Scheme (NDIS), Deloitte Australia principal Dean Boland stated that it continued to enjoy widespread support. “Although participant satisfaction remains high, the tail-end of the transition period brings increased complexity as existing disability programs close. As this occurs, provider reliance on the NDIS increases and external scrutiny will also continue,” Boland said. The event ended with question time, with attendees focusing on mental health funding and support they could access in the community. For those that were unable to attend the event, a summary pack from panel experts is available by contacting UCA Funds Management on 1800 996 888. About us: UCA Funds Management is Australia’s first dedicated ethical funds manager, beginning in 1985. Throughout the last 30 years, we have grown to become one of the largest dedicated ethical fund managers in Australia. Today we have over $1.1 billion funds under management, and offer investment options for personal investors, charities and faith-based organisations. Visit www.ucafunds.com.au for more information.